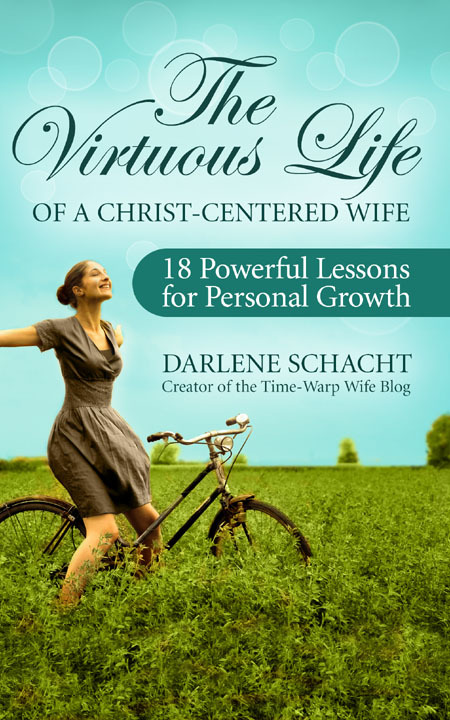 The Virtuous Life of a Christ-Centered Wife is written in the format of an 18-part study for daily or weekly reflection. Not only is it a powerful tool for personal growth, it’s also an ideal study-guide for small groups! Virtue calls us to action. As we exercise each one, they bring our flesh in line with our Spirit. It’s one thing to know what’s good, and it’s another to walk in obedience to the knowledge that we have received. Not always easy, but obedience to our faith is always worth the effort it takes! S – Scripture: You’ll be provided with a portion of Scripture to meditate on. O – Observation: This is a good chance to journal your thoughts. What are some personal observations? If you’re in a group study this might include some things you’d like to share with the others. A – Application: How can you apply this to your life? Are there changes you’d like to make? Is God prompting you to focus on something? P – Prayer: Each lesson includes a short prayer in hopes that you will invite God to play a vital role in this personal journey. After months and months of writing and prayer, The Virtuous Life of a Christ-Centered Wife is finally ready! And people have already started raving about it! ★★★★★ Excerpt of the Proverbs 31 Wife’s Manual Has Been Unearthed!!!! An absolute must read for every wife who wants to bless her husband with the best partner in life possible! Doable and choc full of wise counsel to be the complete package God designed you to be. The introduction of this book was enough to make me shout “yes!”. By the first chapter, I was feeling increasingly convicted. Darlene is able to reach into a woman’s heart and stir within it the very things God has already placed there: a desire to serve her God, her husband and family as a woman of virtue.Being a woman of virtue or a Proverbs 31 woman in the 21st century is not always looked upon favorably. Darlene is able to present the reality of it in such a way that you realize having virtue is a noble and honorable characteristic for any woman. Being a help meet requires a quiet strength and the ability to offer grace and humility. It was after finishing the first chapter that I had an honest –and difficult–conversation with my husband. I woke up the next morning with a new mindset and vision for our family about the kind of woman I need to be.One thing I really love about Darlene is that she is not cheering from the sidelines. After reading her biography, I realize she is on the front lines and she has been through enough of her own marriage struggles to really appreciate walking the talk. I recommend this book for all women, married or otherwise. ★★★★★ Page turner from the first page!! Darlene is so easy to relate to and she definitely understands wives! I love this book because it is very logically laid out, easy to understand, and great real life examples. I loved the questions at the end of each chapter and the way the bible verses are intertwined into each virtue. It makes it very easy to understand and relate to. While completing the questions and bible reading at the end of each chapter it really helps you reflect on your own situation and growth. This would be awesome alone or with a group. I highly recommend the book and am glad I read it. ★★★★★ Powerful and amazingly brilliant! With Darlene’s style of writing, you read and re-read it, possibly stopping to pen notes, pray and sometimes cry a bit. Darlene gives bits of herself, leaving her open and vulnerable. I always loved the idea of a mission statement, but being married for so long, I thought, heck those are only for the newlyweds. But after Darlene’s urgings, I think I will request we do one!I could hear Darlene’s voice the whole time I was reading, you can just tell her heart is in this book. As she gently nudges us all closer to Him. What a blessing! This will make great small bible studies as well as great gifts for others.I received a copy of this book in exchange for my honest opinion. Visit Amazon where you can take a peek inside the book and read the first chapter! I’d love the print version! Please let us know when it comes out! I’ll head over there for sure, Melissa. Thank you! I’m so excited about this book…it’s what my heart has longed for. Is it only available on kindle? It will be Kindle and paperback. I can’t get into Barnes and Noble because I’m Canadian. Argh! But I also have a PDF version available through this page. The paperback is coming in a couple of weeks. I am currently doing two online bible studies ~ GMG’s Intentionally Focused & Courntey Joseph’s Women Living Well. Loving them! Will you be doing anything online w/ The Virtuous Life? Just bought the Kindle version and can’t wait to start it!!! This looks like a great “must” read! I shared it of FB. Would love to have a copy. Thank you. Is this book available for iPad? If you purchase a pdf, you should be able to open that on ibooks. Also you could email it to the kindle app if you have that. The kindle app is free. I can’t wait for the print!! I’m looking forward to the online study. As soon as the print copy is available I’ll get on that. It’s going to be fun! Do you know when the print copy will be available? Really wanting to do this study with our young moms Bible study group. All do not have a Kindle. Thanks for any info. Great! Thank you! I’m sure you will let us all know when it’s available :). So looking forward to holding it in my hands. Me too! I’m looking forward to the online study! The printer approved the files today and they said about 15 business days, but it could be sooner. Then the paperbacks will be ready!! I am looking forward to owning a copy of this book and an online study. Thank you. How does this all work? The online study i mean? Every Monday and Friday I’ll post an article that goes along with the current chapter we are reading. I’ll also post a challenge for readers. So you can read a chapter, then come to the blog on to get further encouragement. It gives us a few days to let each chapter sink in. The facebook page will be a bit more interactive as members can post prayer requests and I’ll share some images each week, etc. It’s about reading through the book together while encouraging one another. Is this book also good for for a single mom? Unfortunately, I’m no longer married but of course I would love to be again one day. Wisdom, passion & showing the example of a Titus 2 woman, Darlene has hit the nail on this one. A must read for married and unmarried women. It is perfect for unmarried to read also to begin to know and put in action the virtues of a Proverbs 31 woman when she is married. I was wondering how far into your online study on the book The Virtuous Life your group was? I would like to join in, will you be doing this again? Dawn, we’re finished the study now. We’ll be taking on Women Living Well this July, and then I have a new book coming in the fall. So I don’t think we’ll be doing this one together again at least for a while. Sorry! I love reading your blog and Facebook page advice and quotes. They really help me through some rough times. Question though how (other than pray) can I help my husband love GOD? Is there any other way. I know he believes in GOD, but he refuses to go to church with us and it is very complicated and at times awkward talking to him about GOD and GODLY practices. He is a very masculine man and the silent type. Our marriage had suffered because of this and I feel that I am the only one trying here. But I continue to pray for him and my family. It is just a struggle most days.